is now operating on the Ardrossan - Brodick ferry route. Brodick Isle of Arran Scotland. Entrance to the driveway is situated three miles from the heart of Brodick and three miles from Corrie on the A841. Brodick Castle is just one mile away. The access road is approximately 400m long and meanders up from the main road to the dwelling, which nestles in the middle of an idyllic and peaceful oasis, where you can take a well earned respite and drift away from the trials and tribulations of the world, into your own private virtual reality. This sanctuary in the wilds of Arran is abounding with abundant flora and secretive fauna, yet it is still within easy reach of (if you need it) the hustle and bustle of life. This semi-detached house is as follows: Ample car parking to the left of the building. or marvel at the breathtaking views across the Clyde to the North Ayrshire coastline. Coal effect electric fire, three seater sofa, two seater sofa bed, two easy chairs, large footstool and coffee table. In the cupboard under the stairs are four outside easy chairs for use on the front decking. Doorway leads off to a fully fitted kitchen. Kitchen appliances are electric oven and four burner hob, with extractor fans, microwave, washer, fridge/freezer, dining table and four chairs. Usual kitchen utensils, crockery and cutlery etc. 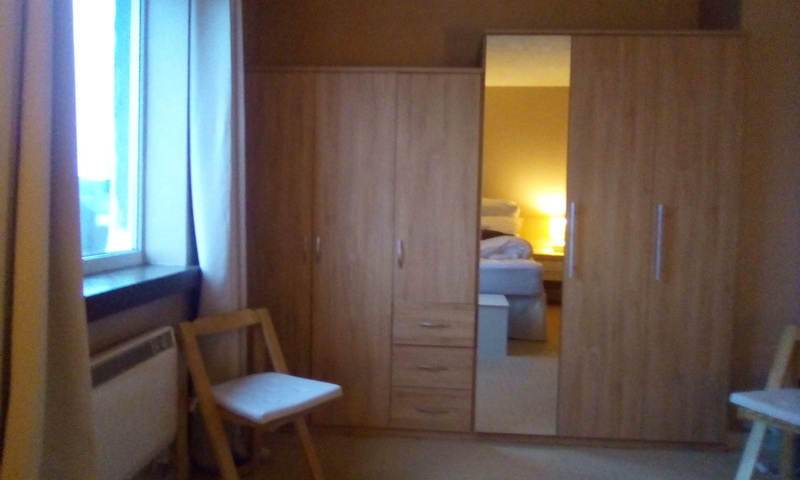 Double bedroom with stunning panorama across the Clyde to the Ayrshire coastline and single bedroom at Merlin House. Between the two bedrooms is a fully tiled shower room including power shower, vanity unit with sink, WC and heated towel rail. Any additional adult will be charged at the rate of £10.00 per night. By booking you are accepting the terms and conditions.